We're accepting donations to send help to people in Texas and Louisiana deviated by Hurricane Harvey . On September 17 we will take up a special contribution during our morning services, but you can go ahead and give toward that cause TODAY. Just scroll down and follow the prompts to give by check or credit/debit card. All the funds that are donated will go to Disaster Relief Effort based in Nashville, TN. 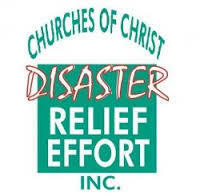 This organization sends truck loads of supplies to local churches of Christ in communities hit by natural disasters. These local faith communities are best equipped to assess and meet the needs of their neighbors and in the process show the compassion of Christ to people. <a data-cke-saved-href="https://secure.sharefaithgiving.com/go/form.php?rid=25457bef7f3b&" href="https://secure.sharefaithgiving.com/go/form.php?rid=25457bef7f3b&">Click Here to Give</a>.